Welcome to the “eat street” of Pavilion, and possibly the most bustling stretch of the shopping mall! Kick-starting my meal with a comforting bowl of Mushroom Soup (RM17), not too creamy and drizzled with extra virgin olive oil. The soup comes with garlic toasted French bread at the side. “I really like this”, the exact words muttered by my foodie friend. I thought the Grilled Lamb Cutlet (RM43) was delicious, marinated with herbs and spices, it was crusty and sweet on the outside, yet nicely done within, with no gamey aftertaste whatsoever. Served with steamed broccoli and roasted whole garlic. This Portugese-inspired Piri Piri Chicken (RM39) would have to be my favorite of the night. The boneless chicken breast meat was cooked to perfection – juicy and tender, slathered with hot piri piri sauce (made with bell pepper, chillies, garlic, cilantro, parsley, paprika, red wine vinegar and with a finishing of lemon zest and juice), on a bed of roasted vegetables. The dish was fiery no doubt, but definitely worth the hype. 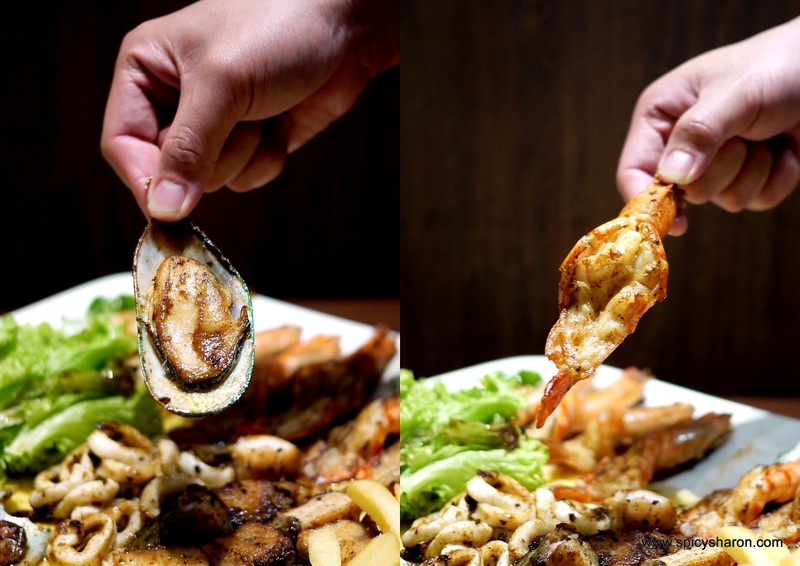 Meant to be shared, the O’Galito Ocean Platter (RM99/pax & RM150/2pax – portion depicted is for 2 pax) consists of an assortment of grilled fresh crustaceans in house specialty spice seasoning – tiger prawns, seabass, calamari, green mussels and a side of fries. I particularly enjoyed the tiger prawns. It was bursty yet firm, fresh, and tore right off it’s shell. The platter really didn’t need that much olive oil, and no – I’m not sharing. Overall Rating: 7/10. I’d recommend O’Galito for its eclectic mix of Mediterranean offerings and especially the Piri Piri Chicken – clear winner of my meal. Christmas Set Menu: Soup, Main Course, Dessert, 2 glasses of red or white house pouring wine.Wednesday Ladies Night: One (1) complimentary cocktail or mocktail & Buy one (1) free one (1) bottle of wine. More information on the promotions above on my Facebook Page Here. Address: C3-05-00, Connection Level 3 Pavilion Shopping Mall, Kuala Lumpur, Malaysia.